The US government could collect a $1.7 billion fine from beleaguered Chinese firm ZTE, as well as assurances about its future conduct, to allow it to continue trading with American firms. 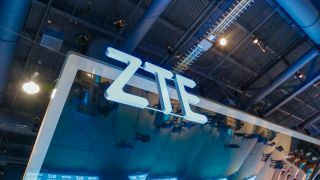 Washington has prohibited US suppliers of products and services from dealing with ZTE after it breached an agreement reached for illegally shipping products to North Korea and Iran. Although four senior officials were dismissed as a result of the scandal, 35 other employees were not disciplined. This was a serious blow for ZTE, which sources up to 30 per cent of its components from the US, including chips from Qualcomm. ZTE’s response was to pause operations, claiming its survival was at risk. At the time, ZTE said it had learned significant lessons since the incident and established a compliance committee of experts, new monitoring procedures at a cost of more than $50 million, with more investments to be made in 2018. It is upset that this progress has not been taken into account and that the US ruling has come before an external investigation has been completed. However President Donald Trump said on Twitter that he wanted to give ZTE a reprieve amid ongoing trade talks between the US and China. According to Reuters, a fine of $1.7 billion, an overhaul of the ZTE board and its senior executives would be enough to allow ZTE to continue trading. Additionally, the US Commerce Department would want regular site visits to see that US components were being used as intended, and for ZTE to post details on its websites. The department would also want a compliance officer to be appointed. The negotiations come amid ongoing trade discussions between Washington and Beijing and any deal could be scuppered by resistance from both Democrats and Republicans in US Congress, who believe Trump is bowing to pressure and that ZTE could be a possible threat to national security. Separately, the UK’s National Cyber Security Centre (NCSC) has warned UK telcos against using network equipment because it would impact a specialist GCHQ unit’s ability to monitor Huawei equipment against potential interference from the Chinese government.